“Gary Con,” an annual Wisconsin gaming convention held to honor the late Gary Gygax, creator of “Dungeons and Dragons” games, is a rapidly growing Lake Geneva event. A recent Atlas Obscura article discusses not only some possible reasons for the conference’s surging popularity, but revisits the anti-role-playing hysteria fomented by opponents of the game in the early 1980s. But D&D was not the only source of fantasy creature lore in the area. 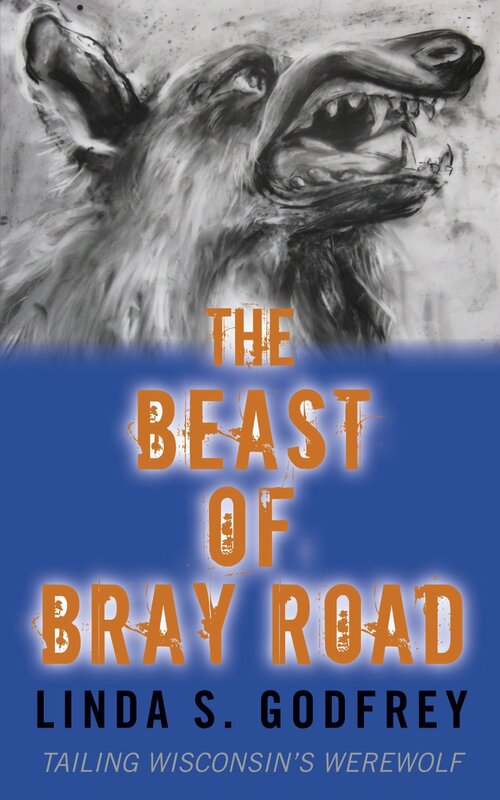 Fans of canine cryptids may be interested to know that Lake Geneva lies only a ten-minute drive from Bray Road, home of the upright, wolf-like creature known as the Beast of Bray Road. The game and the creature arose quite independently, however. 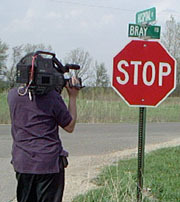 I didn’t break the Beast news story until the early 1990s, but Bray Road area sightings were already occurring in the early 80s (Marvin Kirschnik, 1981) — yet they were unknown to the public at that time. Still, there are some fun associations. The original cover of my book The Beast of Bray Road; Tailing Wisconsin’s Werewolf , for example, was created by one of D&D’s top fantasy artists, Jeff Easley, who painted the image based on his interpretation “just for fun.” Prairie Oak Press later paid him to use it as the cover art. (The cover for the second edition shown in the above link was painted by my son, Nathan Godfrey.) And of course the D&D games feature a “werewolf lord” in their pantheon of beastly characters. There are probably many more such common threads between the game and the creature. While I doubt there are any real associations between D&D and the Beast, it’s always interesting to look for the coincidences that so often swirl around strange phenomena. UPDATE: Another of those weird connections just came in. An Illinois man who owns property near Bray Rd., and whom I’ve been helping investigate large, bipedal canine tracks and other things there for 2 years, wrote me almost immediately. He happened to have been the math teacher of Gygax’s original business partner, and was recruited to help the original game designers with some of the required math calculations!